Veterinarians wear many hats, and being a surgeon is one of them, and that requires being an anesthesiologist as well. We do surgeries five days a week at My Pet’s Vet, including spays, neuters, removing masses, removing bladder stones, removing foreign objects that pets have eaten and gotten stuck in their GI tract, and many other soft tissue procedures. 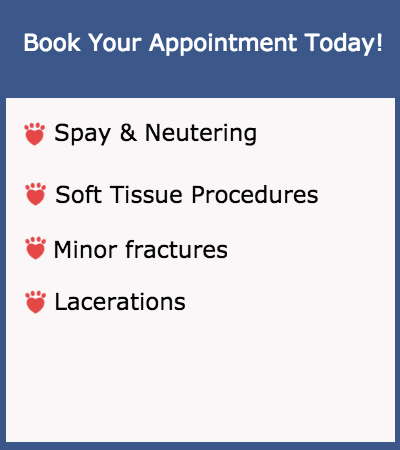 We have a state of the art surgical suite with a warmed table and many monitoring machines to insure that your pet comes through any anesthetic procedure safely. In human medicine there is a standard of care that is universal, but veterinarians have many choices. At My Pet’s Vet we only use the most strict anesthetic protocols that are the safest available. Pets are on intravenous fluids for all procedures which gives an added layer of safety. 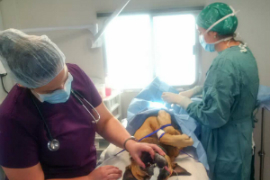 Pets are also accompanied by a technician through pre-anesthetic testing, surgical preparation, during the entire anesthetic process and surgical procedure, and through the recovery process while waking up from anesthesia. Medical options are always preferred to surgery, but when surgery is necessary, you can rest assured that your pet will be well taken care of every step of the way at My Pet’s Vet because, “We Love Pets And It Shows”!